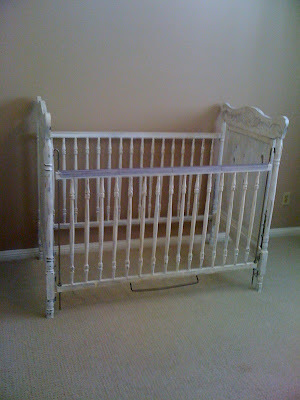 So here are the pics thus far of E's room. It's slowly but surely coming along. I'll be heading to Canton in a few weeks to pick up last minute things. 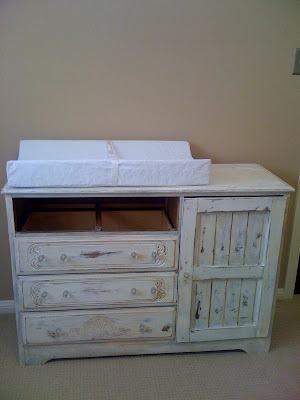 I think we are almost ready for this baby. Only 4 more months to go!!! We can't wait to meet her! 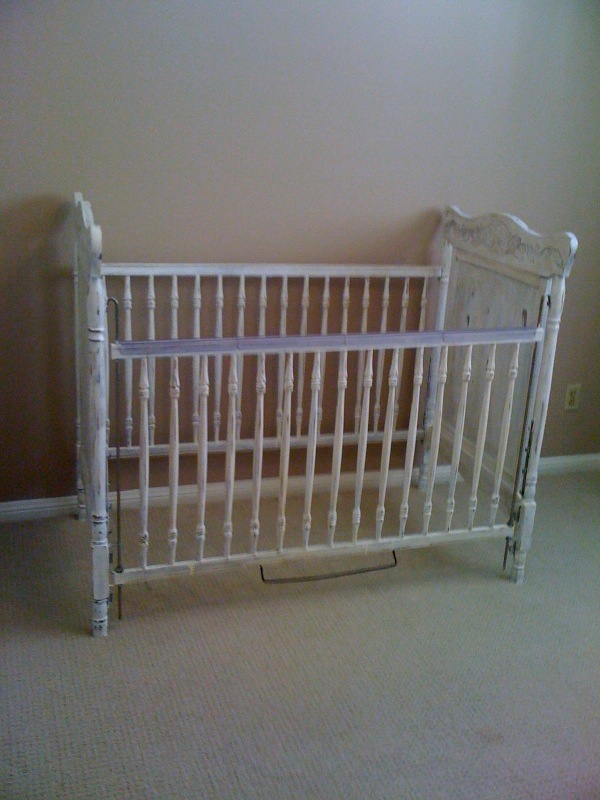 The crib-thanks to my sis-n-law, hubby, and mother for helping refinish it. 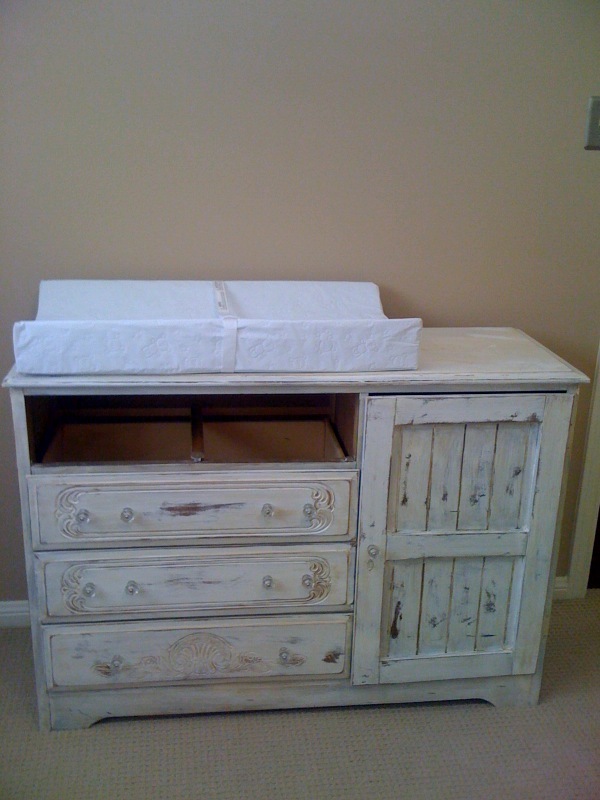 The dresser/changing table. The Mr. had to fix the top drawer so that's why it's missing. This will go above her crib. Probably my most favorite part of the room. Got it from The Back Porch Shoppe on Etsy. I love it so much! 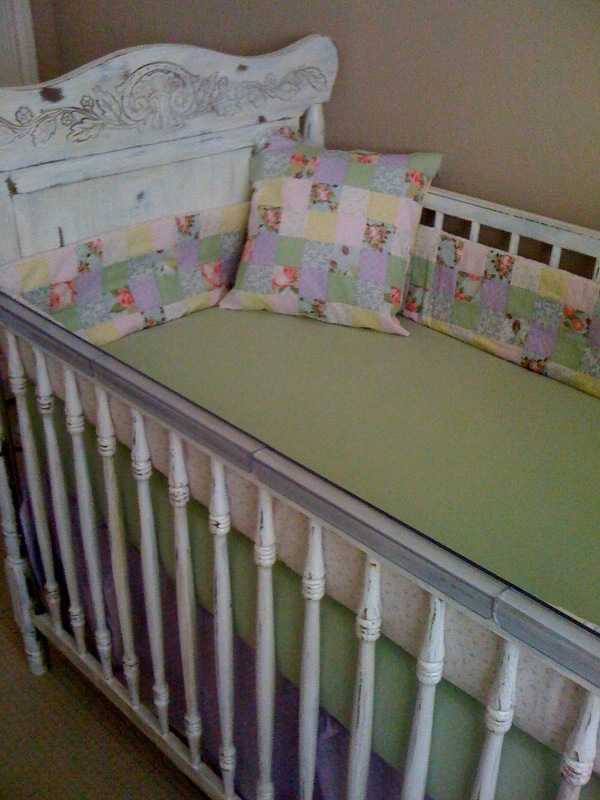 Crib with bedding. The bumpers aren't finished; I just put them in there to get a feel of what it will look like. Promise to post finished bumper pics soon! 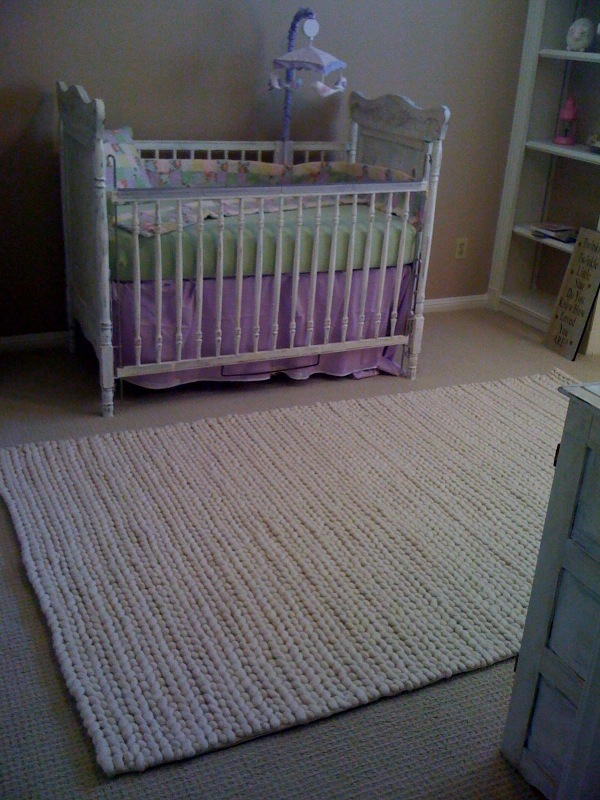 E's room as of now-new rug & mobile. The bed skirt is not even b/c it's not finished either, but you get the picture! 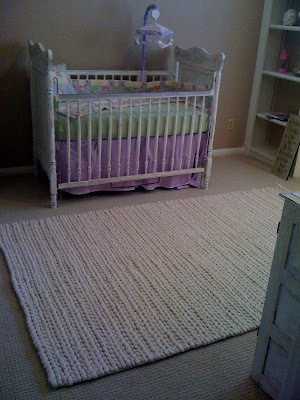 I am hoping to have the room completely finished by mid-September. I can't wait to see it all come together! haha Kat! I actually washed some of her clothes that we've gotten her so far & we have a lot of pink! you'd be so proud! liz-that's a great idea! i may have to do that! It looks great! 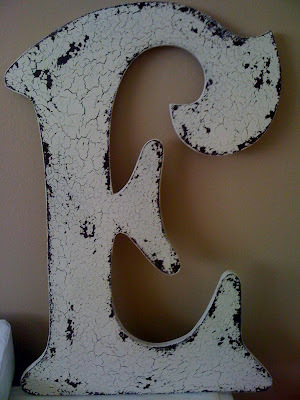 I love the rustic E!